Short and technical. When the creek is up, water is in play on up to 8 holes. Hole 11 is a peninsula shot. 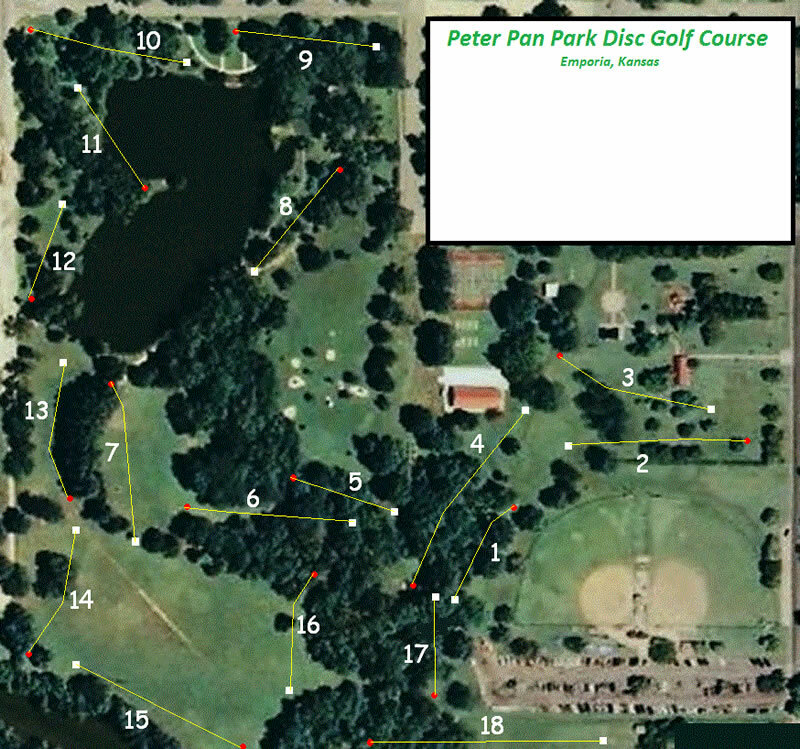 Beautiful course utilized at the Glass Blown Open and 2016 PDGA Pro Worlds. I35; exit 130 south. Follow Hwy 99 south through town to a right on Kansas Ave. Turn left on Congress to the baseball complex. 1st tee is west of fields at south end of the park. This is a wonderfully laid out course with fun obstacles and lots of opportunity to use all your throws. We thoroughly enjoyed the course. It starts pretty easy then builds up nicely. couldn't feel your hands. Would like to play again in better conditions.